TUESDAY, AUGUST 9th from 4:30 – 7:00pm in the meeting room of the Chico Branch of the Butte County Library (1108 Sherman Ave. Chico, CA). Do you have tomatoes coming out of your ears? If you do bring in some of your favorite varieties for a Tomato Tasting and Seed Saving Demonstration! You’ll learn how to process & save your tomato seed for next season and taste some delicious local tomato varieties. And even if you don’t have buckets of tomatoes come on in anyway and enjoy! 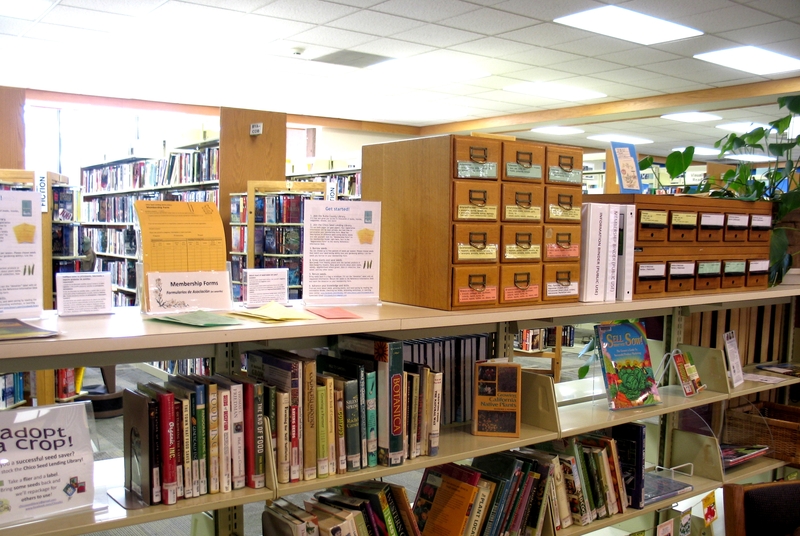 At 4:30 we’ll start with our Seed Library Orientation for those who are new or would like to know more about how to best utilize CSLL. 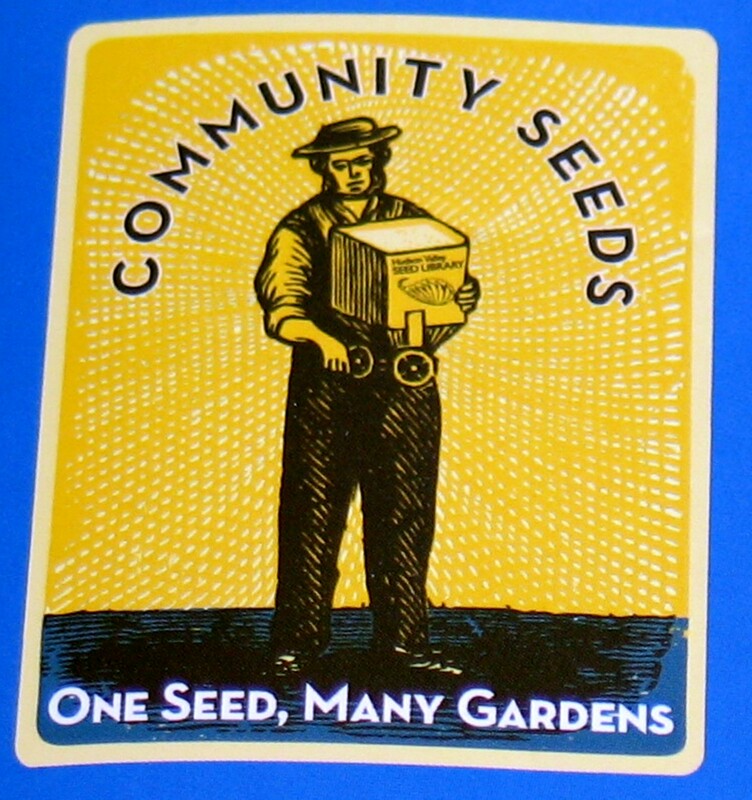 We’ll provide information about how our seed borrowing system works, our different levels of seed saving for returning or donating true to type seed and how to advance your knowledge of seed saving in general. Around 5pm we’ll start packing seed for our inventory and discuss our monthly seed topic which is TOMATOES! We hope to see you at our ‘Lettuce Get Together’. You can join our ‘LGT’ on Facebook too! 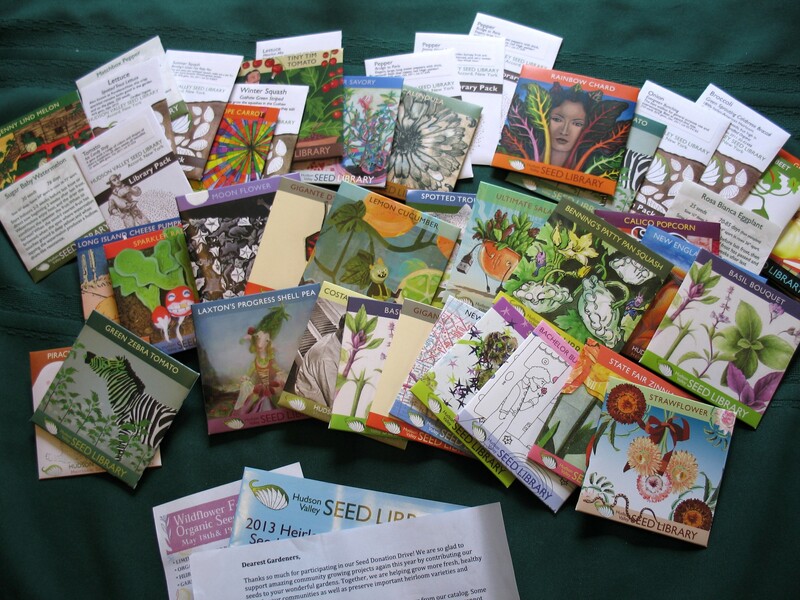 We have many new varieties of seed! At our June ‘Lettuce Get Together’ yesterday our wonderful volunteers helped package up summer grains for CSLL members to borrow. The varieties are so unique so we thought to share a bit more about them than the simple list we have in our Seed Inventory. The first photo is a grain called Jobs Tears. From the Poaceae family this summer grain grows much like its relative corn. And like corn Jobs Tears do like water and are a perennial in areas with no major frost. Its beautiful seed can be used for crafts and the seed has a small hole in the center which makes it perfect for use as a bead in jewelry! It has also been used as a grain and medicine for centuries in Asia. Next is Sesame! This variety was grown and shared with CSLL by co-founder and primary seed educator, Sherri Scott. We also have an Afghan variety donated to us from Redwood Seed. Sesame is VERY heat and drought tolerant so is a perfect grain choice for our bioregion. As Redwood Seed tells us on their website they are, “Graceful plants produce multitudes of tan sesame seeds along tall stalks. The dried seeds taste nutty; they can be dry roasted and used whole in cooking or ground into a paste. Beautiful white flowers are tubular.” Sesame is a gorgeous plant all on its own as one can see from the photos here. In addition to the varieties we mentioned above we have LOADS more seed for you borrow, as you can see from the photo at left. So come on in, check them out and CHECK THEM OUT!! Thanks for supporting CSLL and have a great beginning to summer! We will hold our Seed Library Orientation for those who are new or would like to know more about how to best utilize CSLL. 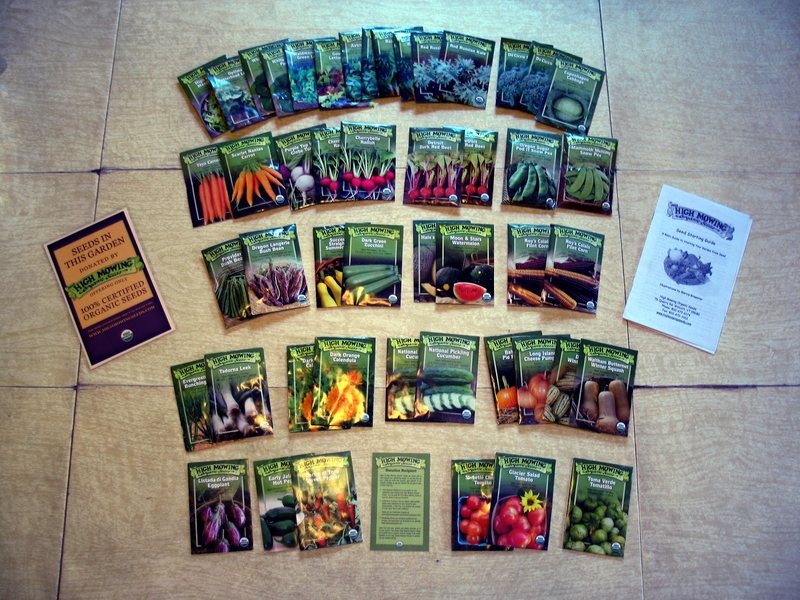 We will provide you with information about how our seed borrowing system works, our different levels of seed saving expertise for returning or donating true to type seed and how to advance your knowledge of seed saving in general. We will also have a ROOT TASTING to enjoy sharing our crop harvest of the early spring season. Carrots, radishes, turnips, parsnips, beets and more. You can bring a certain variety you enjoy and/or make a dish with the root crop for sharing potluck style. 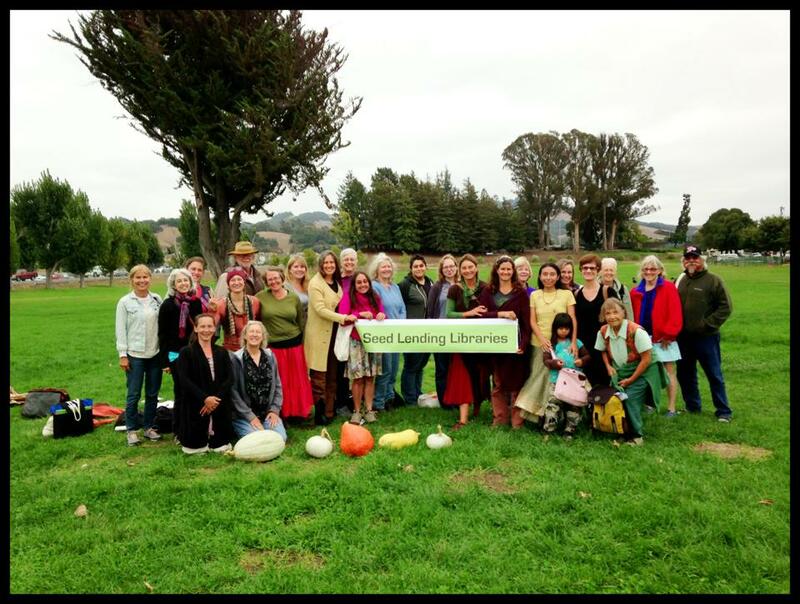 We hope to see you at our next ‘Lettuce Get Together’!! We’re always looking for people to help out with this annual event. If you are interested please follow the link below. 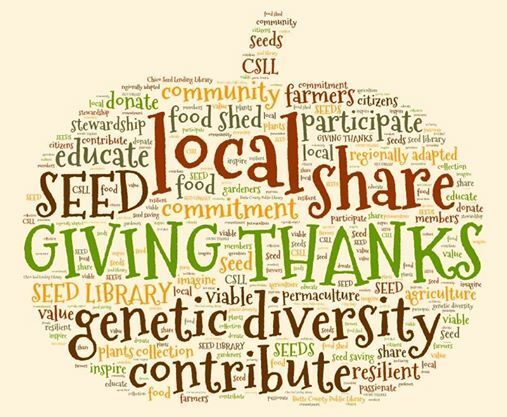 A special shout out of thanks and gratitude to the seed companies below that DONATED SEED for our 7th Annual Seed Swap! Please consider utilizing them for your future seed needs! 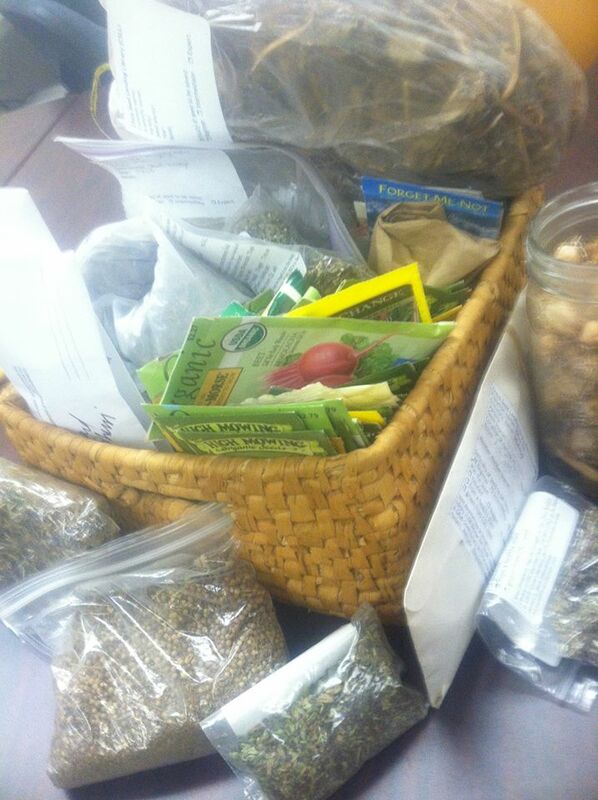 At the Seed Swap please consider donating through the jars on tables or through our Silent Auction! Thank you! Join us for our first ever Book Club ‘Lettuce Get Together’. In addition to packaging up seed for members to borrow we will discuss the incredible book, ‘The Seed Underground: A Growing Revolution to Save Food’ by Janisse Ray. You can read more about this book at the publisher’s website here. This book is also available at our Butte County library! 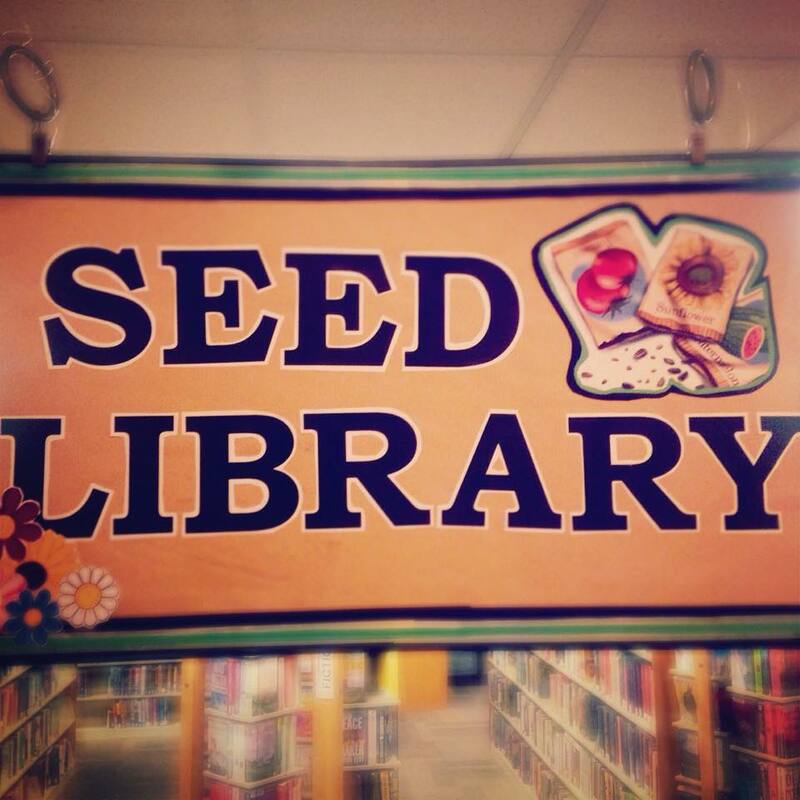 PLEASE NOTE: We meet in the main part of the library right next to the seed library. 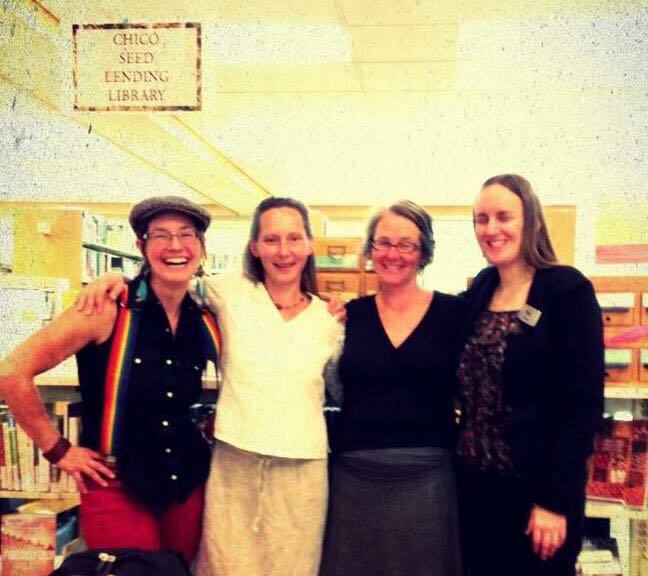 Join us Tuesday, November 18th, 2014 for a Planting Peas garden discussion! During our ‘Lettuce Get Together’ in November we will package up seed for members to borrow as well as talk about the different varieties of peas and winter legumes you can plant this time of year and the best methods to growing them for both eating and seed saving. We are having a small celebration Sunday, October 19th from 3-6pm in the Chico Library meeting room [1108 Sherman Ave.]. 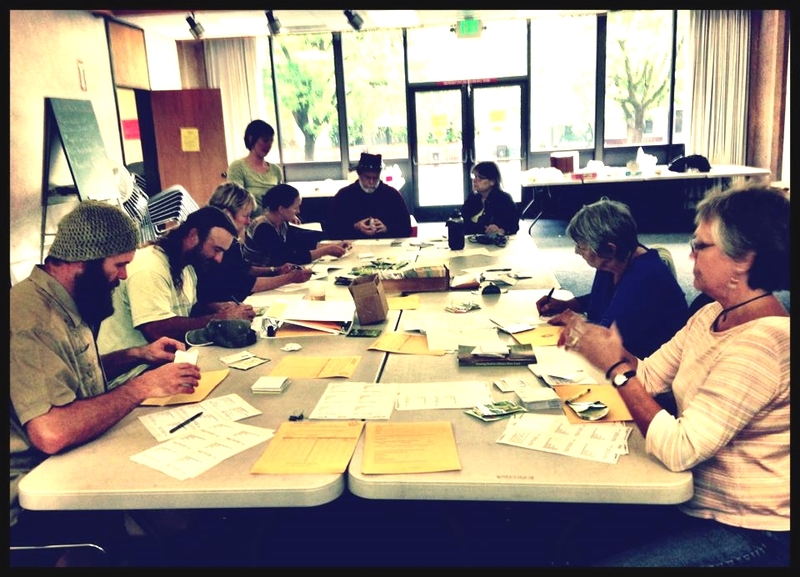 Join us for a potluck and simple seed swap! Thanks to YOU, our community, for making this first year such an amazing success!! 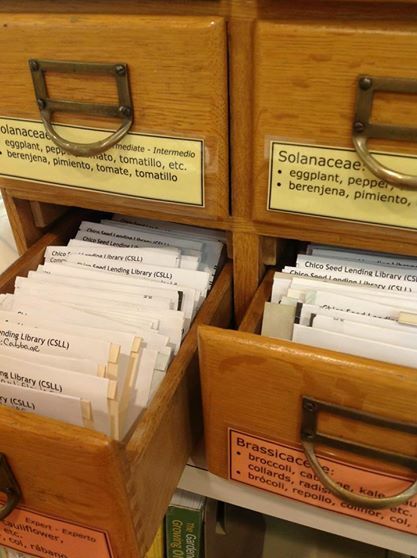 CSLL drawers full of seed ready for borrowing! 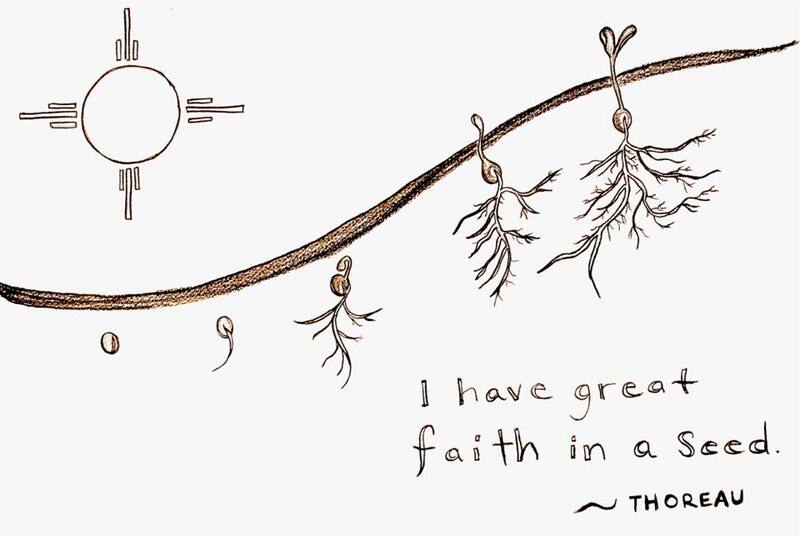 It’s our community, our seeds, our future… let’s share in this together. 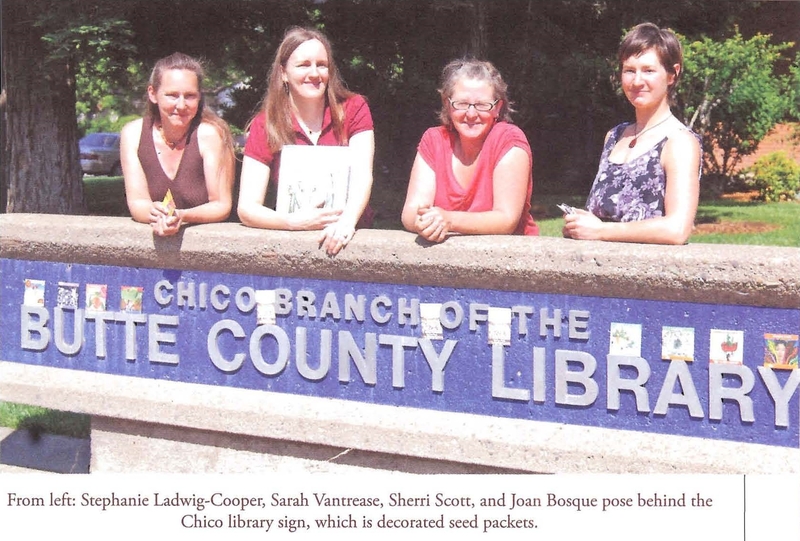 The Chico Seed Lending Library (CSLL) is making it easier for our community to be involved with our seed lending program! We’ll be posting more in the days to come… so follow or bookmark our new CSLL blog and check back often!